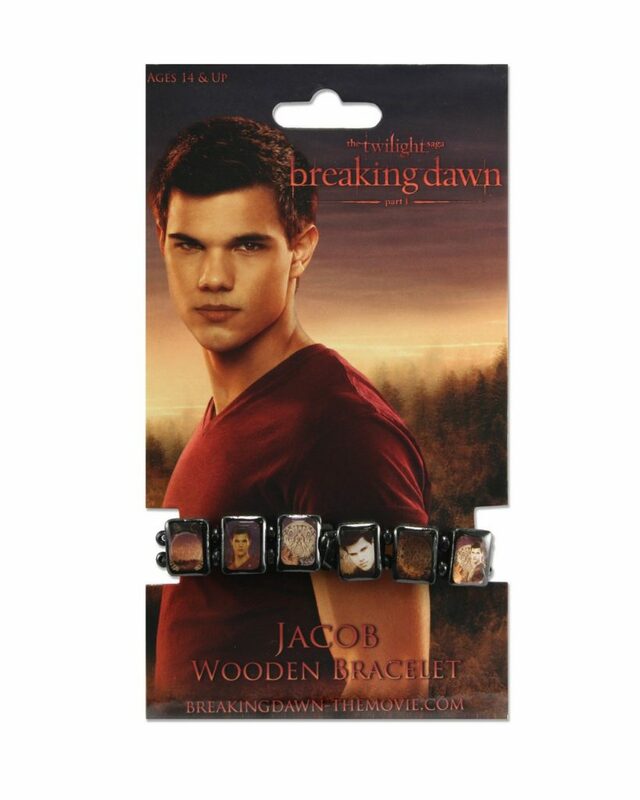 This Twilight: Breaking Dawn wooden bracelet is the perfect casual addition to any look. 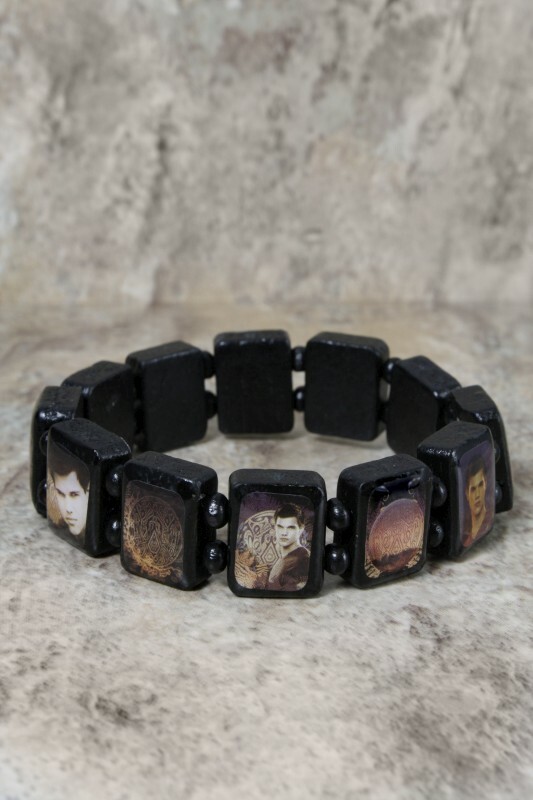 The painted black links feature alternating images of Jacob and his tribal tattoo! It’s stretchy, so it fits all wrists comfortably.